These charcoal drawing video explores charcoal techniques employed in rendering the clothed model and techniques for rendering a charcoal portrait. From placing the image on the page and making basic compositional choices to tips on addressing scale, laying in basic features, taking measurements, and refining the imagery. 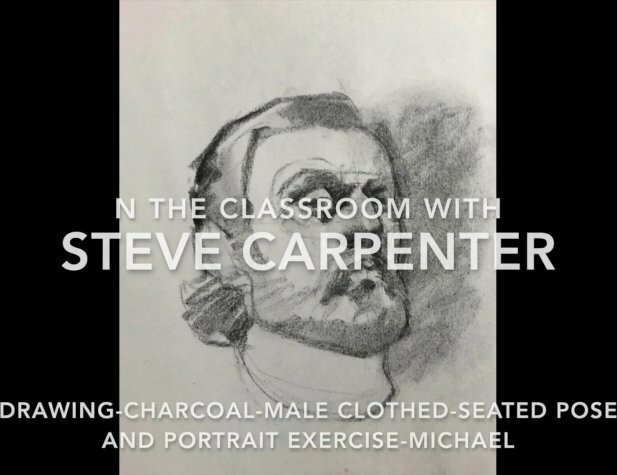 In this charcoal video lesson Steve will lead the viewer through the process of rendering a full figure clothed model. In the second drawing exercise Steve explores all aspects of charcoal portraiture from scale and placement through detailed explanations of how to render facial features including the unique challenge of a bearded model.